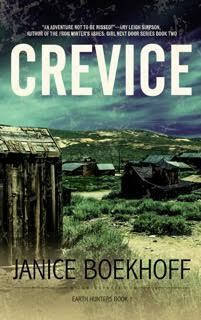 July 8th’s suspense post showcased the Christian romantic thriller novel, Crevice, by suspense author, Janice Boekhoff. And now, here’s the story behind the story. Since childhood, I’ve been hooked on Indiana Jones movies. I would binge watch them with my family on the weekends. For many years, I wanted to be an archaeologist myself. But that dream fell away when I realized most archaeologists classify clay pot shards for a living. Even so, I’ve never lost my love of history and the desire for a great treasure hunt. A few years ago, I was watching a TV show that had a segment on the Lost Dutchman gold mine located somewhere in the Superstition Mountains of Arizona. The myriad of legends reached out with their tantalizing clues and drew me in. Which ones were real? Which were fantasy? Only Jacob Waltz—the Dutchman—knew for sure, and he was long dead. For over a century, treasure hunters have tried to find the mine by understanding the Dutchman himself. Not much is known about Jacob Waltz, who wasn’t even Dutch, but German. His early life is shadowed in mystery. But by the 1860s, he had settled into a humble existence as a farmer near the Salt River (modern day Phoenix, AZ), and yet he died with a box of rich gold ore under his bed. Where did he get access to such wealth, and why didn’t he flaunt it? In Crevice, I had such fun coming up with a creative explanation for the enigma of Waltz’s life, but the truth remains a mystery. Sadly, the details of the lonely Dutchman’s life, and whatever mine he might have discovered, died with him in 1891. The lost mine remains lost. Even so, Dutch Hunters continue to scour the desert mountains, looking for the treasure. It’s a dangerous obsession. Over two hundred people have died or disappeared while searching. Why do they do it? Because they believe the Dutchman’s gold is still out there, waiting to be discovered. That kind of obsession (and my own obsession with rocks) inspired me to write a modern day treasure hunt, but Elery Hearst doesn’t care about the gold. She only wants to find her missing brother. And along the way, she finds so much more. Perhaps, the Dutchman’s gold isn’t all legend. Maybe a rich mine really is out there … waiting. If you happen to stumble across it, feel free to send a few chunks of gold ore my way. Save and pre-order your copy now for only $2.99! Good morning suspense fans and welcome to today’s Book Showcase!!! This month you’re in for a special treat. 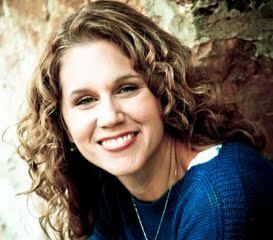 Our suspense feature for the month of July will be a sneak-peak of Christian mystery novel, Crevice by suspense novelist Janice Boekhoff. This book is close to my heart for many reasons and after you’ve read it, it’ll be close to yours too. Save and pre-order your copy now for only $2.99!